Site Content Is The Ultimate Writing Platform To Make Your Life Easier! If you write articles, are a blogger, or a content marketer, this post is for you. Site Content is the ultimate writing and editing platform of Wealthy Affiliate. I don’t know about you, but writing can be hard. I need all the help I can get! That’s why I love Site Content. It makes writing easier, more enjoyable, and eliminates some of the guesswork! Site Content has many useful features, making writing a much friendlier process. An efficient writing platform, it simplifies content creation in an organized manner. As you can see below, Site Content saves your writing statistics and goals. 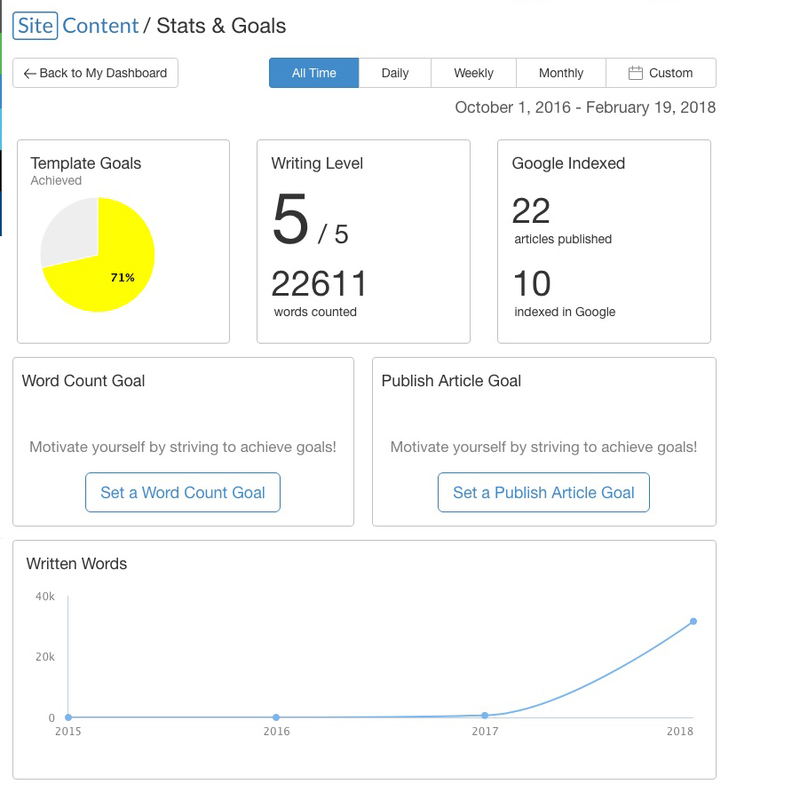 You can set your word-count and article-publishing goals, and you can do this for the goals you set daily, weekly, and monthl. View your “all time” stats to see how close you are to achieving your goals in regards to all these metrics. Site Content also keeps record of how many of your articles have been indexed in Google, which is pretty exciting. The word-count feature of Site Content is my favorite. If you are aiming for a 1,000-word post, article, or review, Site Content lets you know where you’re at in terms of your word count. You can then gauge how much longer your article needs to be. You’ll also be able to see how close you are to meeting your paragraph and heading goals. The ability to use templates is another great feature of Site Content. For instance, I have a template for my basic posts that are 1,000 words in length, contain six paragraphs, and five headings. I use this particular template for most of the posts I write. Your posts don’t have to follow this template exactly, but it does supply the general outline, which saves time. You can also begin writing from a blank document if you prefer or design your own template for future use. This feature allows you to organize your posts and articles according to which website you’ll be publishing to, and is a great time-saving tool. If you only have one website, then this may not be applicable. If you have multiple websites, you’ll find this feature useful as you can organize your content according to its corresponding website. Or create any category you deem relevant, and save your content there. I find that creating content is more enjoyable if I an organizational system in place. The image button allows you to upload images directly from your desktop or use existing images you have already imported. 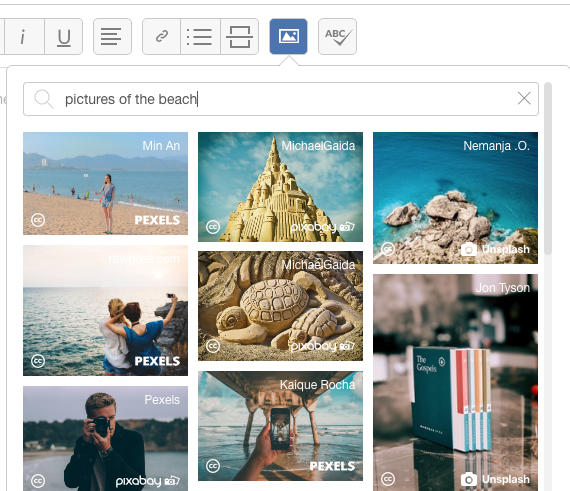 There’s also a drag and drop feature that makes adding images quick and easy. Adding affiliate links in Site Content is a cinch. Press the link button in the editor, and add your target URL. You’ll even have access to your existing content, as seen in the drop down menu, in case you want to link to any of your previous posts. This saves time as you don’t have to go hunting for your desired URL in another window. Be sure and use keywords in your title and headings, which is necessart for SEO. You’ll need the awesome Jaaxy keyword tool for optimal keyword research. Site Content has an awesome spelling and grammar checker, along with content structure analysis, and vocabulary enhancement suggestions. 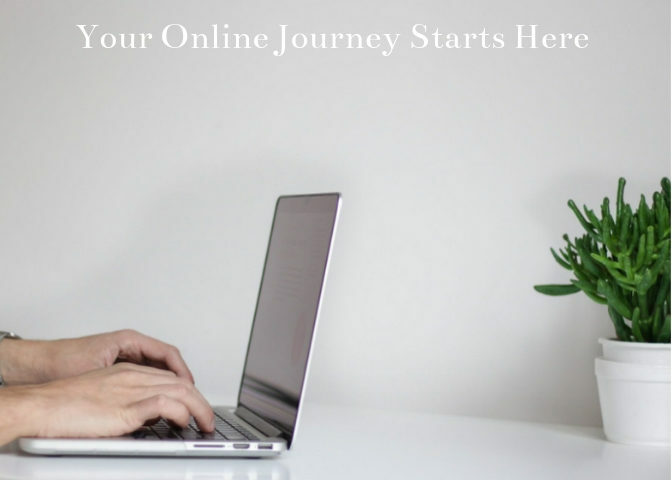 When you’ve completed your content, simply choose which website you want it published to, choose a user, indicate whether it’s a post or page, and off it goes to your WordPress editor. Preceding that, however, Site Content will check for duplicate content, and let you know if it detects any problems. You’ll then view your post in your website editor, and fine tune it from there. Make any necessary changes you feel will improve your post, optimize for SEO, and you’re off to the races! If you write content of any kind, you’ll definitely want to check out Site Content. It has so many useful features that help you become a better writer, while staying organized. And you know what I just love? When I have only 100 words to go, I see this pop up: “Woohoo, you’re nearly done, now finish strong!” This always gives me an added incentive to finish the race. Isn’t it amazing what a little encouragement will do?! You can also use Site Content for taking notes or any task that requires you to write. Not only is it a writing platform, but a powerful editor and managing tool, that is constantly being updated to improve its features. Site Content really is the ultimate writing platform. You’ll love this informative video walk through of Site Content and all it has to offer. Click here to view the video! Which writing platform do you use? What features do you love? Please leave your questions and comments below. A great explanation of site content. I have been hearing really good things about this tool, but haven’t tried it myself. I will be looking into it a bit more. As I always have grammar and spelling issues. I have heard that it can also help with getting better keywords. Do you know anything about this? Thanks for the great write up, will be checking it right now. I use Site Content in conjunction with Jaaxy Lite, a keyword research tool. Before you publish a post on Site Content, there is the capability to check your grammar and spelling, which is an awesome feature and I use it every time I write! Thank you for your information about Site Content on the Wealthy Affiliate platform. It looks like this is going to become a popular tool to create content for budding enthusiastic writers and it seems to have plenty features to organize and categorize each project created. Finding keywords with Jaaxy Keyword Tool enhances this tool and the articles written can be edited in draft mode before they are published directly onto the website. This is particularly good if you have a lengthy post for your article that needs to be revisited several times. Overall, this is a great tool for any writer and it even has a Spell and Grammar Checker – well worth looking into! Thank you for your detailed comment. I use Site Content and Jaaxy for every single article I write. It’s convenient to publish directly to my website editor where I can then fine tune the article if it needs it. I also love the template function, it has saved me a lot of time, and the spell and grammar checker is the best! I just recently started using Site Content to blog on my website and I have to say I love it. It is user friendly, and for a newbie to blogging it really made the experience much simpler. All the tools you need are accessible within Site Content. I love how easy it is to write and publish directly to my website. The best feature would have to be the word count along with the paragraph and headings. It makes it much easier to follow and reach your writing goals. The word count is my favorite feature too. Blogging every day can be challenging for sure, so having a writing platform that is user-friendly with great features, makes the task a lot easier. I love the headings feature as well. Thank goodness for Site Content! Thank you Holly for a great article on Site Content. I actually am a user of site content and a wealthy affiliate member and I love both. I really enjoy using it and I have learned a few new things from your article that I wasn’t aware of. Buckets and Grids is a fantastic organizational feature that saves a lot of time. The thing about site content is that I have a couple of articles that require research so I have a few articles that I am writing all at the same time. I know when I am close to finishing each article as the word count at the bottom of the editor will tell me I’ve got 100 words left to go to complete a 1000 word post. This helps me to keep adding more content. Thanks for your insight into this writing platform, you have done a fantastic job explaining how great it is! Thank you Mary. I love using Site Content, and especially enjoy the word count. It helps keep me on track with each post I write, and the buckets and grids feature is really helpful for organizing all my articles. Thanks for taking the time to read my post.